Describes the different levels of reading and what each level entails. Also, details very useful techniques on how to scan a book to determine if it is worth your time and lays out how to read different genres and types of reading materials. Ask questions while reading – what is the book about, what is discussed in detail, is the book true, why is it important. Write the answers to these questions on the cover page and as you read through it, answer them. Must classify a book before reading it. 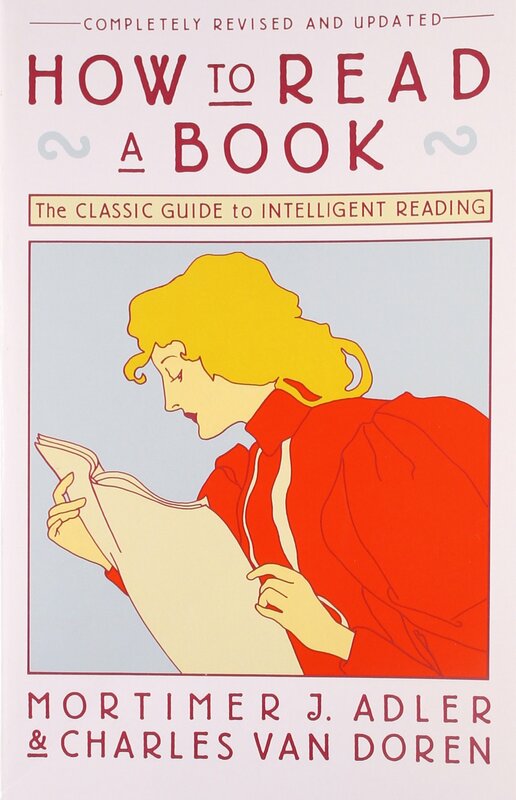 How to read is something most of us probably take for granted but when was the last time you were taught how to read? Adler and Van Doren outline how to properly read and this varies depending on the genre as well as your goals in reading the book, article, magazine, etc. The questions and techniques described help you get the most of out of what you’re reading and by clarifying what and why you’re reading something, it makes the material that much more impactful. Must classify a book before reading it. Is it expository (gain knowledge) psychology, math, history, etc. For current books, ask the following questions – know what the author wants to prove, who does he want to convince, what special knowledge does he assume, does he use any special language and does he really know what he is talking about? This entry was posted in Books and tagged Books, Charles Van Doren, How to Read, Mortimer Adler, Practical on March 12, 2015 by Blas.